Which Online Poker Affiliate Model Is Right For You? 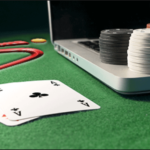 Home » Which Online Poker Affiliate Model Is Right For You? Online poker rooms offer two ways to get paid for referrals. One is revenue share. This means that the affiliate earns a percentage of the rake generated by a player for the life of that account. The other is CPA. This stands for cost per action. That means a poker site pays a set amount for a referred players once a goal is met. That is typically a combination of a minimum deposit amount and a level of rake generated. Revenue share can be an advantageous way to generate lifetime income from an online poker or casino player. At an online poker site, this means receiving a percentage of rake paid by a player forever. Percentages vary, but are at least 20 percent and can run as high as 50 percent. One advantage to accepting this form of compensation is that checks come in month after month from a player’s action. As long as the player continues to sit at poker tables or play in the casino, he will generate income. Affiliates willing to take a gamble on players can reap the rewards forever. All it takes is a couple of whales to be set for life. There are a few disadvantages to accepting revenue share as a form of affiliate compensation. One is that many players only make one deposit and never return. If this occurs, lifetime revenue share is limited. Some poker and casino sites have deductions from revenue share. This may include processing fees from deposits. Players that lose constantly –especially at poker– may be unprofitable when on revenue share. Bonuses and other promotions are often deducted from revenue share. Players that win may receive free withdrawals. Poker and casino sites that offer this feature may share the costs with the referring affiliate. Lifetime revenue share may not mean what it claims. Some sites have been known to change the terms and conditions of affiliate contracts once players are referred. This may mean that a player that goes inactive is lost to the poker site if no deposit or play occurs within a month or two of the account creation. Some gaming sites have been known to void all affiliate deals and bring players in-house without notice. This sometimes occurs when a remote gaming company is acquired or when times get tough. Affiliates that choose revenue share should research sites offering it to make sure that there is no history of changing terms and conditions. Affiliates that choose CPA never have to worry about a change in a site’s terms and conditions. A depositing player who rakes a small amount automatically generates a CPA payment. The amount paid to the affiliate often dwarfs what a player immediately creates in rake or casino win. There is little gamble involved in CPA. There is never a concern about getting paid if a site runs into trouble or changes its attitude towards affiliates. Affiliates that refer numerous high volume players may be able to negotiate better CPA deals based on this. Affiliates with high-quality sites will often refer players that give substantial volume to poker and casino sites. CPA may not be the best deal for these affiliates, assuming the players are referred to legitimate sites. A revenue share deal may be significantly higher in a single month off of a big player when compared to a single CPA. Some large affiliate companies offer great deals to sub affiliates. These may seem enticing to potential partners. One advantage to this offer is receiving payments all in one place without the need for a separate payment processor. Most of these offers turn into trouble. Affiliates that do not own their players may experience a scenario where the parent affiliate stops paying referrers. The sub affiliate has no recourse when this happens.